It was a beautiful day to take the family to the Micanopy Fall Festival. I picked up a bottle of El Yucateco chipotle hot sauce from one of the booths selling bottled sauces and live pepper plants. 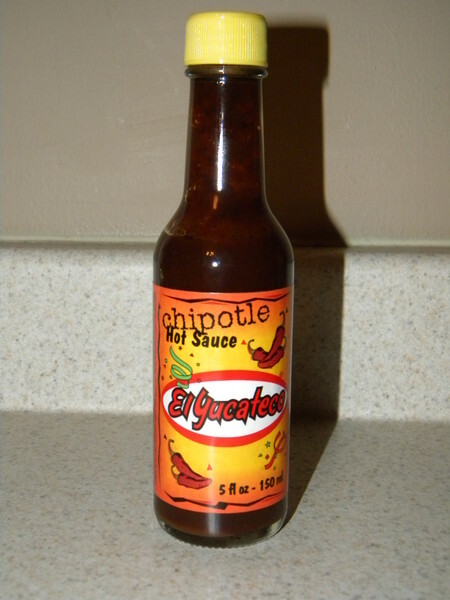 I mixed some of this hot sauce with regular bottled barbecue sauce. I just finished grilling (and eating!) chicken breasts and turkey kielbasa. Man, this made for some good and spicy grilling.